165 in stock Need More ? 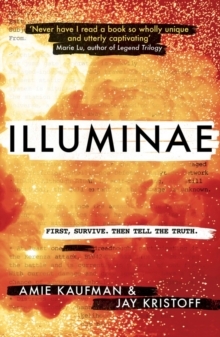 Brad Pitt's Plan B Entertainment and Warner Bros are set to bring YA sci-fi novel Illuminae to the big screen. The year is 2575 and two mega-corporations are at war over a planet that's little more than an ice covered speck. Too bad nobody thought to warn the people living on it. With enemy fire raining down on them Ezra and Kady have to make their escape on the evacuating fleet. But their troubles are just beginning. A deadly plague has broken out on one of the space ships and it is mutating with terrifying results. Their ships protection is seriously flawed. No one will say what is going on. As Kady hacks into a tangled web of data to find the truth its clear only one person can help her. Ezra. And the only problem with that is they split up before all this trouble started and she isn't supposed to be talking to him. A fantastically original, heart-stopping adventure where everything is definitely more dangerous than it seems. Can't get enough Jay Kristoff & Amie Kaufman? Aurora Rising, the first in an epic new trilogy is out May 7.